The Federal Reserve is neither Federal, nor a Reserve. The first misconception common to man is that the Federal Reserve Bank is a branch of the US government. IT IS NOT. THE FEDERAL RESERVE BANK IS A PRIVATE COMPANY. Most people believe it is as American as Apple Pie and and granted powers in the Constitution. THE FACT IS THE CONSTITUTION FORBIDS IT’S EXISTENCE. Article 1, Section 8 of the Constitution states that Congress shall have the power to create money and regulate the value thereof. The FED controls and profits by printing WORTHLESS PAPER, called “money”, through the Treasury, regulating its value, and perhaps THE BIGGEST OUTRAGE of all, COLLECTING INTEREST ON IT! (THE SO-CALLED NATIONAL DEBT). The FED began with approximately 300 people or banks that became owners, stockholders purchasing stock at $100 per share – the stock is not publicly traded) in the Federal Reserve Banking System. They make up an international banking cartel of wealth beyond comparison. The FED banking system collects billions of dollars in interest annually and distributes the profits to its shareholders. The Congress illegally gave the FED the right to print money through the Treasury at no interest to the FED. Who actually owns the Federal Reserve Central Banks? The ownership of the 12 Central banks, a very well kept secret, has been revealed: 1. Rothschild Bank of London 2. Warburg Bank of Hamburg 3. Rothschild Bank of Berlin 4. Lehman Brothers of New York 5. Lazard Brothers of Paris 6. Kuhn Loeb Bank of New York 7. Israel Moses Seif Banks of Italy 8. Goldman, Sachs of New York 9. Warburg Bank of Amsterdam 10. Chase Manhattan Bank of New York. These bankers are connected to London Banking Houses which ultimately control the FED. When England lost the Revolutionary War with America where our forefathers were fighting their own government, they planned to control us by controlling our banking system, the printing of our money, and our debt. The individuals listed below owned banks which in turn owned shares in the FED. The banks listed below have significant control over the New York FED District, which controls the other 11 FED Districts. These banks also are partly foreign owned and control the New York FED District Bank: First National Bank of New York, James Stillman National City Bank, New York, Mary W. Harnman, National Bank of Commerce, New York, A.D. Jiullard Hanover, National Bank, New York, Jacob Schiff, Chase National Bank, New York, Thomas F. Ryan, Paul Warburg, William Rockefeller, Levi P. Morton, M.T. Pyne, George F. Baker, Percy Pyne, Mrs. G.F. St. George, J.W. Sterling, Katherine St. George, H.P. Davidson, J.P. Morgan (Equitable Life/Mutual Life), Edith Brevour, T. Baker. How did it happen? After previous attempts to push the Federal Reserve Act through Congress, a group of bankers funded and staffed Woodrow Wilson’s campaign for President. He had committed to sign this act. In 1913, a Senator, Nelson Aldrich, maternal grandfather to the Rockefellers, pushed the Federal Reserve Act through Congress just before Christmas when much of Congress was on vacation. When elected, Wilson passed the FED. Later, Wilson remorsefully replied, referring to the FED, “I have unwittingly ruined my country”. Now the banks financially back sympathetic candidates. Not surprisingly, most of these candidates are elected. In November 1910, the unholy alliance of a half-dozen power brokers pretended to go on a “duck hunt,” as a ruse conspired to create the first central bank since President Andrew Jackson vetoed the charter of the Second Bank of the United States in 1832. Since then, the United States had operated on a decentralized state banking system. Participants included Senator Nelson W. Aldrich (the Rockefeller connection), Assistant Secretary of the Treasury Department A. P. Andrews, banker Benjamin Strong, and financier Paul Warburg (known as the father of the Federal Reserve). No press was present. Only first names were used, so as to avoid publicity. They met in secret because of a long-standing public distrust of big bankers, money trusts, and Wall Street brokers. They were known as the “First Names Club,” and another Ben—Benjamin Strong, the Fed chairman in the 1920s—later joined the First Names Club. The idea was to design a “lender of last resort” to deal with financial crises like the Panic of 1907. J. P. Morgan bailed out the New York banks and prevented a depression, but what was to happen when he died? Morgan died in March 1913, providing the impetus to push through the Federal Reserve Act in December 1913. The conspirators didn’t get everything they asked for with the Federal Reserve Act. 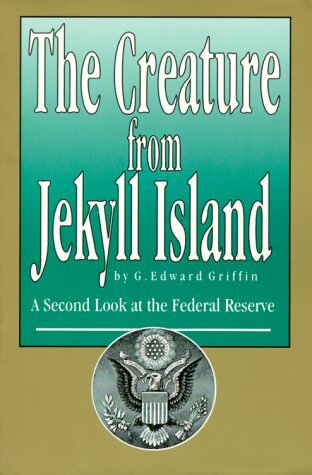 They wanted a European-style central bank run by Wall Street; the bill that Senator Aldrich pushed through Congress never even used the term “central bank.” The Act appointed the Treasury Secretary to serve as Fed chairman; it wasn’t until 1933 that the Fed chairman became independent of the Treasury. Since then, the Fed has erred on the side of inflation in fear of causing another Great Depression and has failed to control inflation or the business cycle. Now, 100 years later, we find ourselves in a similar predicament. In 1907, we suffered a banking panic. In 2008, we suffered the Financial Crisis of 2008. The cause: The Fed’s easy-money policies and its failure to regulate the banking system properly, which it perpetrated by allowing subprime lending. Now, Fed chairman Ben Bernanke (the new Benjamin Strong) says that he has learned the history lessons of Milton Friedman. In 2008-’09, he and the Reserve Board injected trillions of new dollars into the system to keep it afloat. 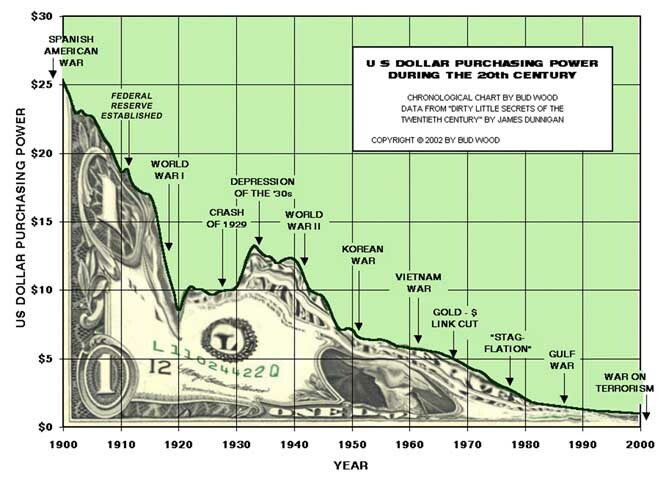 Instead of falling, the money supply went through the roof. No doubt Milton Friedman would have approved of this decision to save the banking system. But how would he feel about it now? First, he would object to the Fed’s artificially lowering interest rates, its so-called ZIRP (zero interest rate policy). Friedman did not believe the Fed should manipulate interest rates. He wanted the market to set rates. Second, he would oppose “price inflation” targeting. Last week, Bernanke announced a controversial decision to engage in a second round of “quantitative easing” to the tune of $600 billion. Why? To fight unemployment and increase inflation. Bernanke wants to “target” price inflation from its current 1% to 2-3%. He says we are suffering from deflationary fears. Friedman supported a stable monetary policy: keep the money supply growing at a steady rate. He opposed the constant switching from easy money to tight money by the Fed. The bankers employ members of the Congress on weekends (nickname T&T club -out Thursday…in Tuesday with lucrative salaries. Additionally, the FED started buying up the media in the 1930’s and now owns or significantly influences most of it. Presidents Lincoln, Jackson, and Kennedy tried to stop this family of bankers by printing U.S. dollars without charging the taxpayers interest. Today, if the government runs a deficit, the FED prints dollars through the U.S. Treasury, buys the debt, and the dollars are circulated into the economy. In 1992, taxpayers paid the FED banking system $286 billion in interest on debt the FED purchased by printing money virtually cost free. Forty percent of our personal federal income taxes goes to pay this interest. The FED’s books are not open to the public. Congress has yet to audit it. Congressman Wright Patman was Chairman of the House of Representatives Committee on Banking and Currency for 40 years. For 20 of those years, he introduced legislation to repeal the Federal Reserve Banking Act of 1913. Congressman Henry Gonzales, Chairman of a banking committee, introduced legislation to repeal the Federal Reserve Banking Act of 1913 almost every year. It’s always defeated, the media remains silent, and the public never learns the truth. The same bankers who own the FED control the media and give huge political contributions to sympathetic members of Congress. They are private credit monopolies which prey upon the people of the United States for the benefit of themselves and their foreign customers; foreign and domestic speculators and swindlers; the rich and predatory money lenders. This is an era of economic misery and for the reasons that caused that misery, the Federal Reserve Board and the Federal Reserve banks are fully liable. Half a million dollars was spent on one part of propaganda organized by those same European bankers for the purpose of misleading public opinion in regard to the Federal Reserve Bank. Every effort has been made by the Federal Reserve Board to conceal its power but the truth is the Federal Reserve Board has USURPED THE GOVERNMENT OF THE UNITED STATES. IT CONTROLS EVERYTHING HERE AND IT CONTROLS ALL OUR FOREIGN RELATIONS. IT MAKES AND BREAKS GOVERNMENTS AT WILL. No man and no body of men is more entrenched in power than the arrogant credit monopoly which operates the Federal Reserve Board and the Federal Reserve banks. These evil-doers have robbed this country. What the Government has permitted the Federal Reserve Board to steal from the people should now be restored to the people. Our people’s money to the extent of $1,200,000,000 has within the last few months been shipped abroad to redeem Federal Reserve Notes and to pay other gambling debts of the traitorous Federal Reserve Board and the Federal Reserve banks. The greater part of our monetary stock has been shipped to foreigners. Why should we promise to pay the debts of foreigners to foreigners? Why should American Farmers and wage earners add millions of foreigners to the number of their dependents? Why should the Federal Reserve Board and the Federal Reserve banks be permitted to finance our competitors in all parts of the world? The Federal Reserve Act should be repealed and the Federal Reserve banks, having violated their charters, should be liquidated immediately. FAITHLESS GOVERNMENT OFFICERS WHO HAVE VIOLATED THEIR OATHS SHOULD BE IMPEACHED AND BROUGHT TO TRIAL. In 1974, Congress issued a report stating that the Chase Manhattan Bank’s stake in CBS rose to 14.1% and NBC to 4.5%. The same report said that the Chase Manhattan Bank held stock in 28 broadcasting firms. After this report, the Chase Manhattan Bank obtained 6.7% of ABC, and today the percentage is most likely much greater. It only requires 5% ownership to significantly influence the media . This is only one of 300 wealthy shareholders of the FED. It is believed other FED owners have similar holdings in the media. To control the media, FED bankers call in their loans if the media disagrees with them. Every day I hear people complaining about what they don’t like about our government and media, but not one of them are willing to put forth an effort to try and change it, especially when it comes to their personal lives. We are as much a slave on a personal level, as our government is to the international bankers. We keep right on using the tool they put out here to control us, credit cards, and we are imprisoned by it. We are no longer willing to save up to buy something, we have to have it right now, so the Government has made it easy to have what you want without the having to save for it, (CREDIT). Don’t you think it funny that in a land with so much wealth, only 2 PERCENT of the people own their homes? (CREDIT). Do you know 60 PERCENT of Americans have at least 3 Credit cards used to it’s maximum? (CREDIT). Do you know that only 1 PERCENT of the people have their car paid for? (CREDIT). To be free, you must throw away your credit cards, and NEVER buy anything that you cannot afford at the moment of purchase. We will never be a free people until we rid ourselves of the burden placed here to control us, and when we stop renting from the powers, the power will cease to exist. “By this means government may secretly and unobserved, confiscate the wealth of the people, and not one man in a million will detect the theft.” — John Maynard Keynes (the father of ‘Keynesian Economics’ which our nation now endures) in his book “THE ECONOMIC CONSEQUENCES OF THE PEACE” (1920). 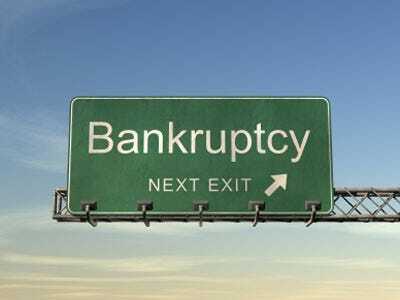 “Capital must protect itself in every way…Debts must be collected and loans and mortgages foreclosed as soon as possible. When through a process of law the common people have lost their homes, they will be more tractable and more easily governed by the strong arm of the law applied by the central power of leading financiers. People without homes will not quarrel with their leaders. This is well known among our principal men now engaged in forming an imperialism of capitalism to govern the world. By dividing the people we can get them to expend their energies in fighting over questions of no importance to us except as teachers of the common herd.”—Taken from the Civil Servants’ Year Book, “The Organizer” January 1934. “From now on, depressions will be scientifically created.” Congressman Charles A. After Mr. Kennedy was assassinated just five months later, no more silver certificates were issued. The Final Call has learned that the Executive Order was never repealed by any U.S. President through an Executive Order and is still valid. Why then has no president utilized it? Virtually all of the nearly $6 trillion in debt has been created since 1963, and if a U.S. president had utilized Executive Order 11110 the debt would be nowhere near the current level. Perhaps the assassination of JFK was a warning to future presidents who would think to eliminate the U.S. debt by eliminating the Federal Reserve’s control over the creation of money. Mr. Kennedy challenged the government of money by challenging the two most successful vehicles that have ever been used to drive up debt – war and the creation of money by a privately-owned central bank. His efforts to have all troops out of Vietnam by 1965 and Executive Order 11110 would have severely cut into the profits and control of the New York banking establishment. As America’s debt reaches unbearable levels and a conflict emerges in Bosnia that will further increase America’s debt, one is force to ask, will President Clinton have the courage to consider utilizing Executive Order 11110 and, if so, is he willing to pay the ultimate price for doing so? From the Great Depression, to the stagflation of the seventies, to the burst of the dotcom bubble last year, every economic downturn suffered by the country over the last 80 years can be traced to Federal Reserve policy. The Fed has followed a consistent policy of flooding the economy with easy money, leading to a misallocation of resources and an artificial “boom” followed by a recession or depression when the Fed-created bubble bursts.